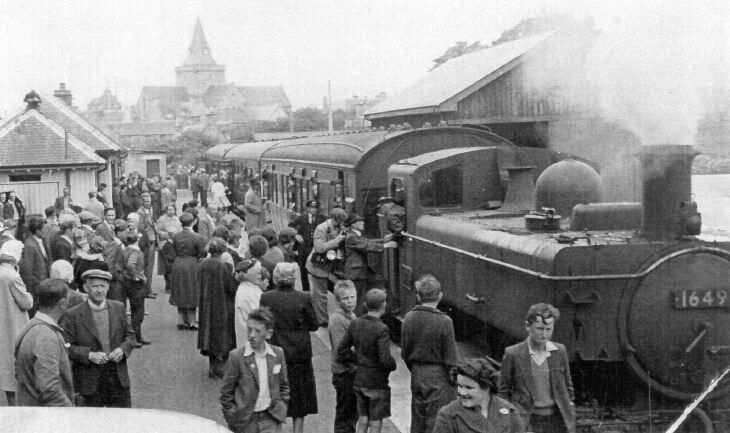 Copy of press cutting entitled "Farewell to Old Friend" with photograph of train standing at platform of Dornoch Station. Locomotive No. 1649.